Massive online losses and his ex-wife remarries in the same week. 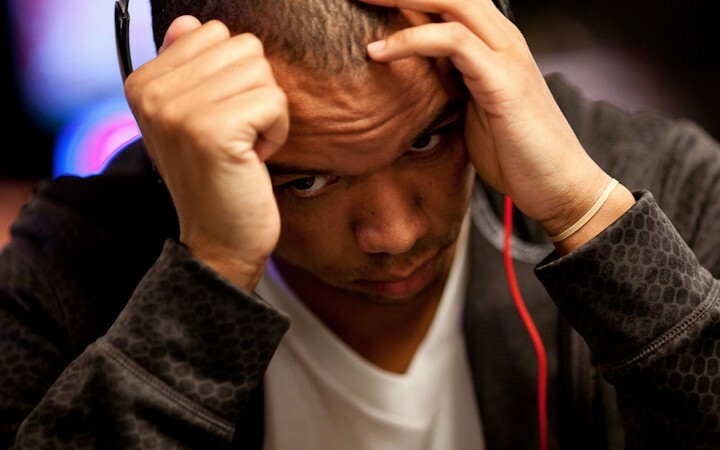 While sometimes Phil Ivey seems superhuman, he is, of course, merely mortal. This week, the People’s Champ navigated what many would call rough waters, both professionally and personally. It was reported this week that Ivey took a massive beating on the Full Tilt Poker virtual felt dropping nearly $1 million in cash (roughly $945k over 8k hands according to Pokernews) at the nosebleed 2-7 Triple Draw and PLO tables. In fact, according to his graph over at HighStakesDB, since changing his name from his own “Phil Ivey” to “Polarizing” on FTP, Ivey has done nothing but dump cash – $3.3 million or so since December 2012. Maybe though, while he was playing his heart just wasn’t in it. It was reported by Bluff Magazine’s EIC Lance Bradley that Ivey’s ex-wife, Luciaetta, has in fact, remarried. Over the weekend Luciaetta, who went back to her maiden name of Roberts following the divorce, married Chris Rich, who just happens to be a Senior Partner at Rich Ventures, where Luciaetta has been working (according to her LinkedIn profile) since January 2013. The divorce was a testament to Ivey’s mainstream appeal in a sense as it was actually covered by media monster TMZ. Who knows what emotions Ivey may be feeling about the remarriage of his high school sweetheart, but according to Nevada divorce laws, with her remarriage, the reported $180k monthly alimony checks will come to a grinding halt…perhaps helping to ease the burden of his online losses.